28. HISTORY OF THE C.F.D. CHICAGO FIRE DEPARTMENT - E.P.D.S. Featuring classic documents and memorabilia. the fire, disaster and Emergency Preparedness field. 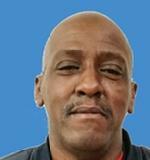 LIVE 24 / 7 streaming audio feeds of the Chicago Fire 911/ O.E.M.C. and E.M.S. Services in Digital UHF & UHF). In 1957, then Chicago Fire Commissioner Robert J. Quinn had an idea. He knew of six heavy duty rescue trucks that the Federal Government had supplied the city, to use as they saw fit. The rescue vehicles were all brand new, fully equipped but just sitting idle in City of Chicago garages, collecting dust and waiting for the big one. After meeting with Charles (Jimmy) Johnson, a long time friend of Quinn's and an avid fire fan, Quinn decided to approach Mayor Richard J. Daley with a plan for these Rescue Squads. It would involve an all-volunteer unit to facilitate and operate this equipment with proper training and personnel to provide ancillary support at fires and other disasters. Johnson would be the civilian Chief of the unit. A handful of volunteers were gathered together between October of 1957 and January of 1958. 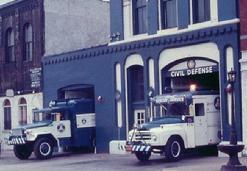 The Chicago Civil Defense, Fire and Rescue Unit was then born. The first day the unit was in service, members responded to a major extra-alarm fire at 54 E. Hubbard St. It was immediately known from that point on, that the organization could play a vital role in the non-hazardous duties at fire scenes and other disasters within the city and the outlying suburbs. > Main, Englewood & Citywide Fire Digital < Your browser does not support iFrames. 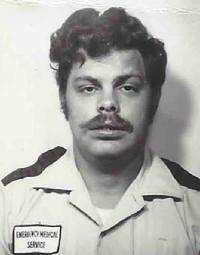 Firefighter on Truck Co. 10.
back on the mid 1980's! with the Chicago Fire Department. photos of fires, accidents, etc. 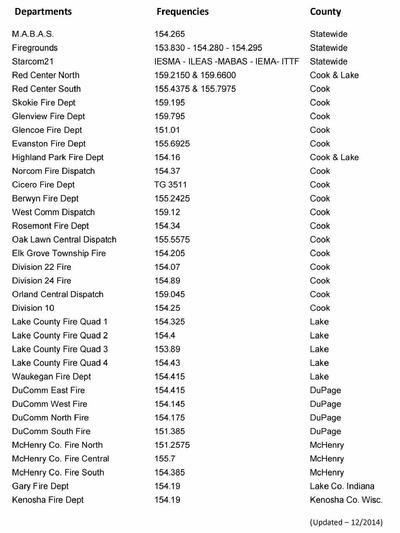 Please help with the monthly hosting cost for the CFD LIVE STREAMING AUDIO link, that ChicagoFD.org website pays each month. This website is updated regularly! 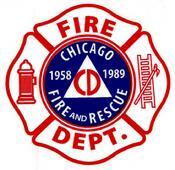 Fire & Rescue Division/Chicago Fire Dept. - E.P.D.S. Unit. us at the CONTACT US link below.